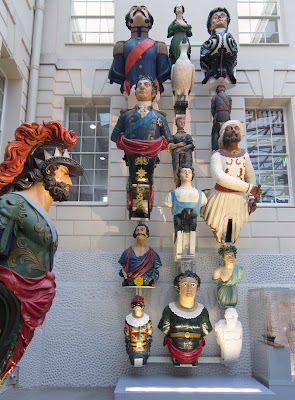 A wonderful collection of ship figure heads at the National Martime Museum. I've always loved figureheads...I particularly like the Muslim looking dude about to draw his sword. Hard to believe these pieces have endured after long exposure to salt water and other threatening elements. Wonderful sculptures. It's too bad these are no longer made on regular basis - what a display!